October 16, 2017 – The same fusion reactions that power the sun also occur inside a tokamak, a device that uses magnetic fields to confine and control plasmas of 100-plus million degrees. Under extreme temperatures and pressure, hydrogen atoms can fuse together, creating new helium atoms and simultaneously releasing energy. 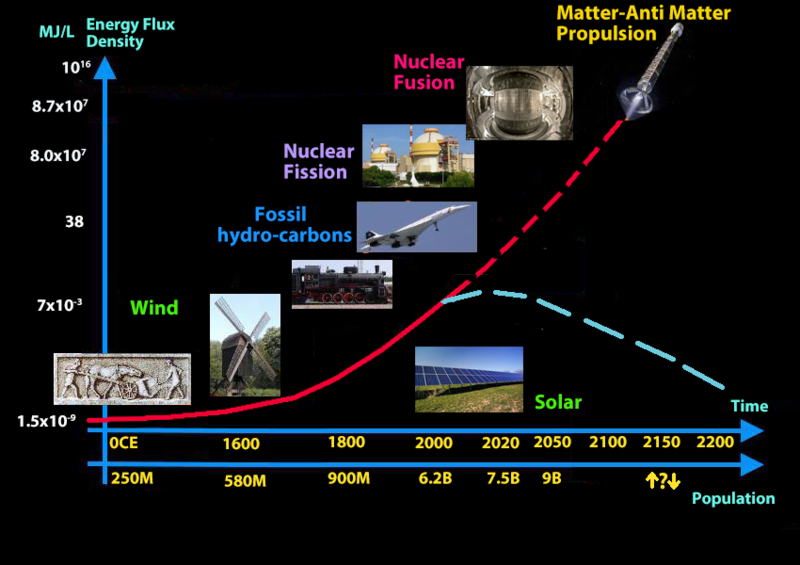 Fusion could be a source of inexhaustible energy. 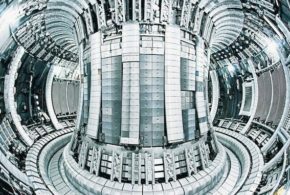 To create and study a burning plasma, a necessary step for fusion energy development, scientists and engineers are building a massive tokamak: ITER, currently under construction in France. 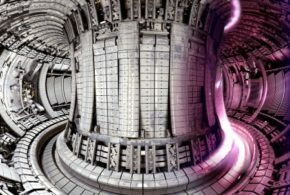 Plasma physicists have sought for the past 35 years to answer a tough question: what causes a tokamak’s plasma to go from a weakly confined, strongly turbulent state to a more confined, calmer state when it is adequately heated? 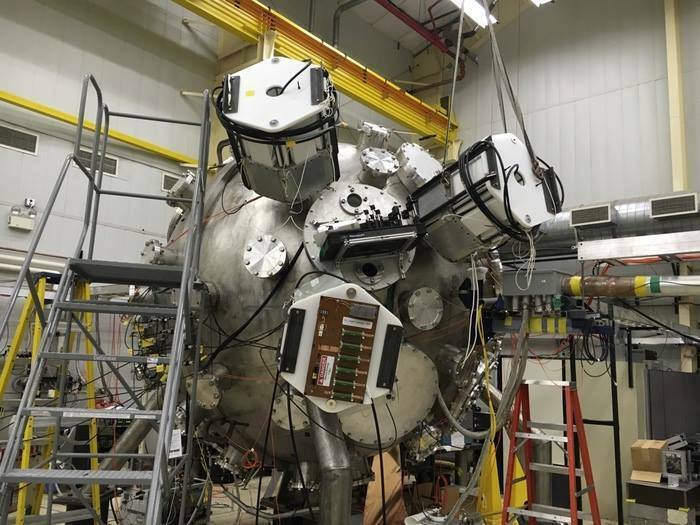 The answer may help scientists predict the optimal heating power necessary for ITER to demonstrate a self-sustained burning plasma and 500 megawatts of fusion power. C.S. 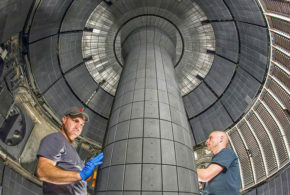 Chang’s team from Princeton Plasma Physics Laboratory (PPPL) and researchers from the University of California, San Diego, and the Massachusetts Institute of Technology (MIT) Plasma Science and Fusion Center simulate tokamak plasmas to understand these kinds of complex plasma reactions. They are particularly interested in the physics at the plasma edge, an area with critically interesting properties. 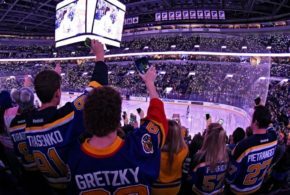 Physicists have known that plasma spontaneously bifurcates, or sharply changes into another state, when it is heated, causing it to be more confined and to retain heat at its core while cooling down near the reactor walls. Now, with the help of the Cray XK7 Titan, a 27-petaflop supercomputer at the Oak Ridge Leadership Computing Facility (OLCF), the team uncovered for the first time the basic physics behind why and how a plasma achieves this transition into what is called high-confinement mode, or H-mode. This calmer mode of operation reduces turbulence and helps the plasma maintain its efficient fusion reactions. 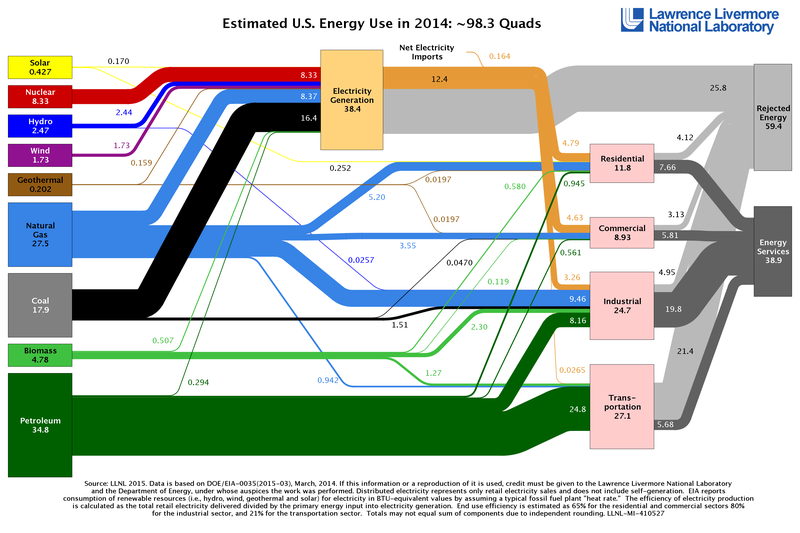 The OLCF is a US Department of Energy (DOE) Office of Science User Facility located at DOE’s Oak Ridge National Laboratory (ORNL). US contributions to ITER (US ITER) is also managed by ORNL, with partners PPPL and Savannah River National Laboratory. The team’s simulations—performed under DOE’s Advanced Scientific Computing Research (ASCR) Leadership Computing Challenge program—revealed a synergistic effect, where both concepts converge to explain the phenomenon of the transition to H-mode operation. Turbulence generates a turbulent stress-driven flow, and in the background, some ions are lost to orbits crossing the close magnetic field lines, generating another kind of flow: an orbit-loss–driven flow. If the orbit-loss–driven flow is weaker in ITER than it is in current tokamaks, scientists may need to plan for a higher plasma heating power to successfully achieve ITER’s goal of tenfold energy production. Therefore, future simulations will study the transition into H-mode at ITER scale. 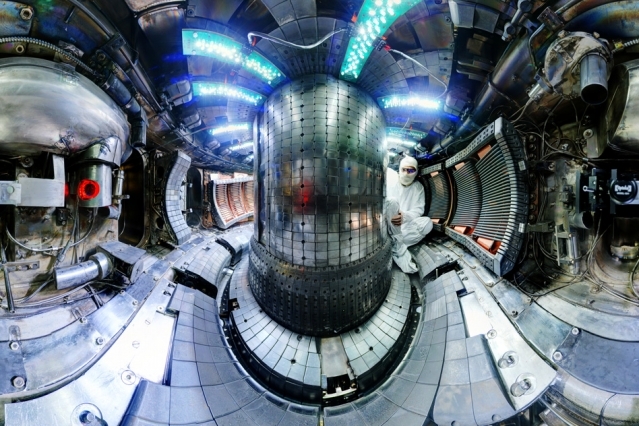 Inside a tokamak, plasma, which is ionized gas, is confined by magnets so as not to touch the metal walls inside. As heat is added, turbulence increases, allowing plasma atoms to leave the plasma rapidly. This state of turbulence describes the plasma’s low-confinement mode (L-mode). The phenomenon is similar to the polar vortex that swirls around Earth’s polar areas and contains extremely cold air relative to the air just outside these areas. The temperature drops off dramatically toward the polar region across the swirling flow. But if the arctic air gets warmer, the swirling flow becomes weaker, allowing the arctic air to escape more easily. When the core of the plasma is heated, its edge temperature also will be high—unless the distance from the core to the edge is great enough to allow for cooling, requiring an uneconomically large reactor. But with enough heat, the high turbulence eventually generates its own flow that suppresses turbulence, transitioning the plasma into H-mode and creating an edge pedestal—an area where temperature and pressure drop off dramatically toward the cold reactor wall. Scientists observed this phenomenon experimentally, coming to understand the necessity of H-mode for fusion. To operate in H-mode with less external heating power, scientists discovered another mechanism was necessary: the background geometry that forms a magnetic X-point, an area of weakness in the plasma’s magnetic field. The team’s code uncovered the role of the magnetic X-point in the H‑mode physics. The loss of ions caused by the magnetic X-point can produce a powerful electric field at its edge that induces a strong swirling flow. Because ITER’s plasma must have a core temperature of around 15 kiloelectron-volts (keV)—10 times hotter than the Sun’s core—its edge temperature must be at least 4–5 keV for a plasma 4 meters in diameter. The ideal plasma edge pedestal temperature is one that is high enough for fusion to occur in the core but not high enough to cause collapse. Finding this balance will ensure that ITER’s plasma size is just large enough for its predicted power production but small enough to be efficient. Even so, ITER remains 10 times larger in volume than the largest present tokamak in the world, and it is the only magnetic fusion device specifically designed to produce a burning plasma. To study a tokamak of this magnitude, Chang’s team at PPPL turned to the OLCF’s Titan to perform simulations of unprecedented scale. The OLCF provides scientists with high-performance computing resources for research related to problems of great scientific complexity and importance. Chang’s team simulated a full-volume plasma to look at the properties of the edge during heat injection into the plasma. Using Titan, the team simulated the L-H transition using the multiscale edge gyrokinetic code XGC, which was developed under the Scientific Discovery through Advanced Computing program in collaboration with ASCR scientists. 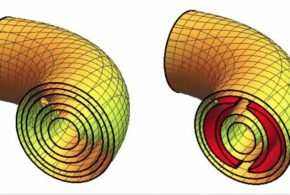 Chang’s team uses first-principles–based equations in XGC simulations, because XGC provides a basic understanding of the plasma physics with a closer look at the gyrating particles in the plasma edge. Using XGC, the team simulated an MIT machine called Alcator C-Mod, a tokamak at the Plasma Science and Fusion Center that operated until 2016. The team simulated a full-volume plasma with a simulation grid size of less than a millimeter—the radial size of a turbulent plasma ion’s gyration. ORNL Computer Science and Mathematics researcher Ed D’Azevedo, OLCF Scientific Data Group Lead Scott Klasky, and Postdoctoral Research Associate Stephen Abbott were critical to the porting, optimization, and running of XGC on Titan. David Pugmire, computer scientist in the OLCF Scientific Data Group, used the visualization and analysis tool VisIt to generate visualizations of the simulations. In two simulations of about 100 billion particles each, the team used 90 percent of Titan’s 18,688 GPUs and 299,008 CPU cores for 3 days to model the multiscale, multiphysics problem—which scaled from submillimeters all the way up to meters to capture MIT’s large C-Mod tokamak. 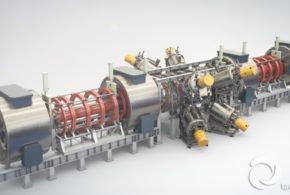 The XGC team can now begin looking at ITER’s proposed heating power to analyze its achievement of the H-mode operation when plasma is introduced to the machine. The team plans to simulate ITER’s edge plasma to study how it will behave under the estimated heating power necessary for the crucial mode. “We may be able to tell whether ITER’s L-H transition will be subject to the same physics as the present tokamaks and whether ITER’s estimate for its external heating power—which is based upon experience from current tokamaks—is adequate,” Chang said. The team’s study, supported by DOE’s Office of Science, is published in Physical Review Letters.